Silver and diamond jewelry photograph taken with a macro lens. 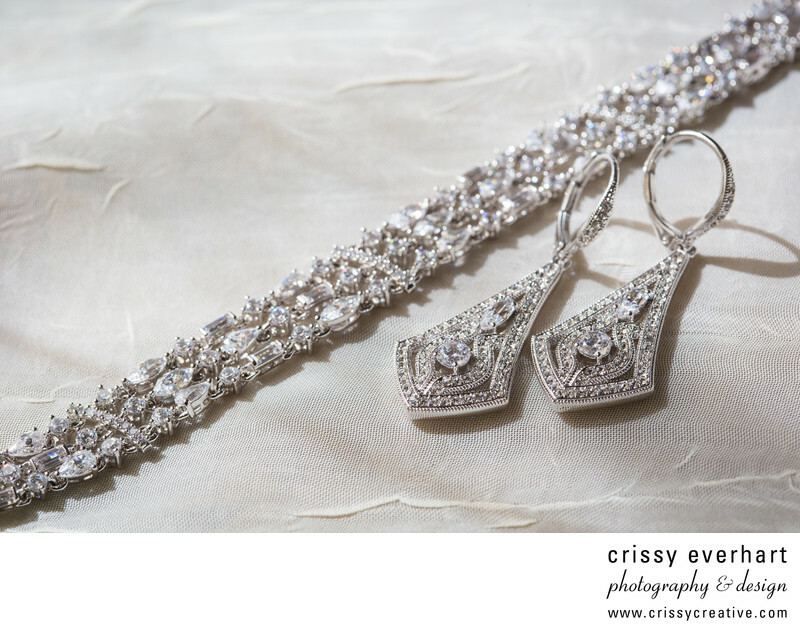 Diamond bracelet is laid out diagonally across the frame and diamond kite shaped earrings are placed next to them. Both lay on an old vintage handkerchief at Rivercrest Golf Club.